It has been a long time that I wanted to cover this annual event in Pampanga. It is only now that I had that chance to go and see. It was fulfilling to witness the Cutud Lenten Rites. 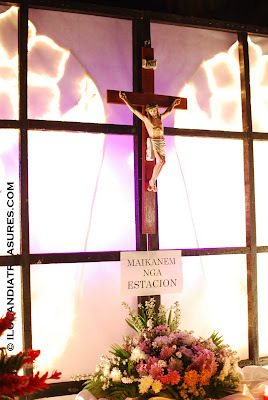 It was like going also on penitence since I went to San Fernando City and took a walk for a kilometer under the scorching heat of the sun to the village of San Pedro. This event created traffic towards the direction of the venue since a lot people local and foreign alike went to see this event. San Pedro Cutud Lenten Rites is world-famous for the re-enactment of the Christ's Passion and Death. It usually takes place on Good Friday. It is a passion play that culminates in the nailing of the three penitents on the wooden cross. This year there were eleven who submitted themselves for nailing. Mostly men who are being nailed on the cross but there were occasions women do. They are being nailed with the use of two-inch stainless steel soaked in a bottle of alcohol to disinfect them. 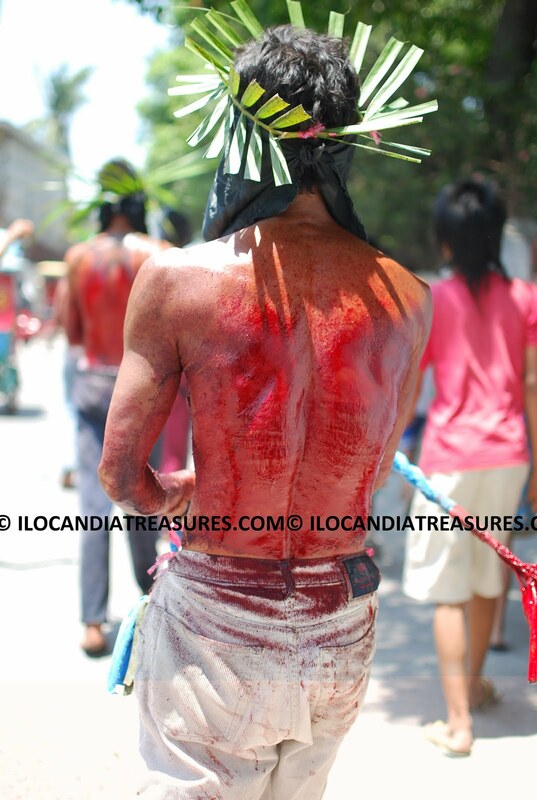 From the city, I walked with some people then later I saw some young men going on flagellation. They were lined up with the first one carrying the big cross and the rest whipped their backs with a bundle of sticks. Their heads were covered with black cloth and torns were placed on their heads. Their backs were bleeding as they constantly whip. Streaks of blood got into my white shirt and cannot avoid since they just suddenly appear on your side or back. I have seen that they really have to cut the skin with blades and whip it to continue on bleeding. These group had to stop at a church they passed by. They lied in prone position and they are being whipped by somebody else and turned their bodies in four quarters. 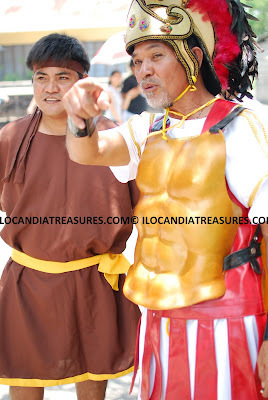 The passion play started at the barangay hall of the San Pedro. It started at 12 noon. People were waiting for the capture of the character Jesus Christ. His hands were tied while he was presented and was sentenced by Pontius Pilate at the stage. It was Boy Padilla who represented as Pontius Pilate. I was able to have him for a short interview. There were horses and a chariot who took Jesus Christ. Later he was taken around for the different stations of the cross. It was another kilometer that I walked under the sun and dust. Then Jesus Christ character carried his cross to the calvary. Along the stations, three women in his life appeared, cried and prayed for him. 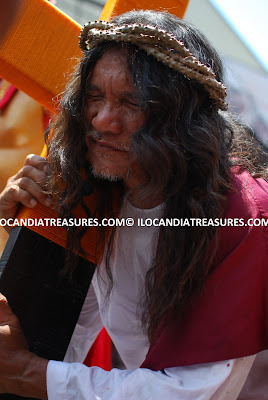 A 50 year old Kapampangan carpenter Ruben Enage plays the character of Jesus Christ. He was nailed on a wooden cross for the 25th time after his first in 1985. 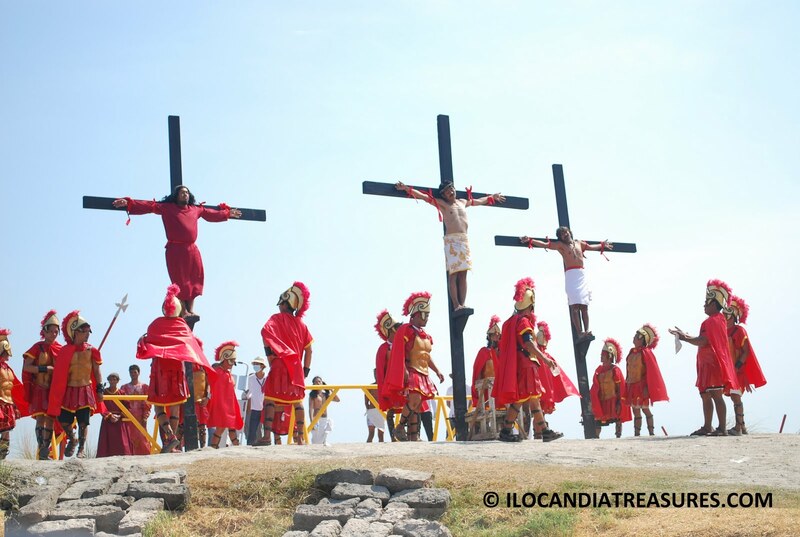 He was taken to the top of the hill in Cutud and was crucified there. All guests were restricted to get close to the hill as it was fenced for the final ceremony. After two batches of penitents nailed, the public went up the hill and got to see up close the nailing of the hands and feet of penitents on the crosses. They shout loud as they were being nailed. It was too painful I can say. 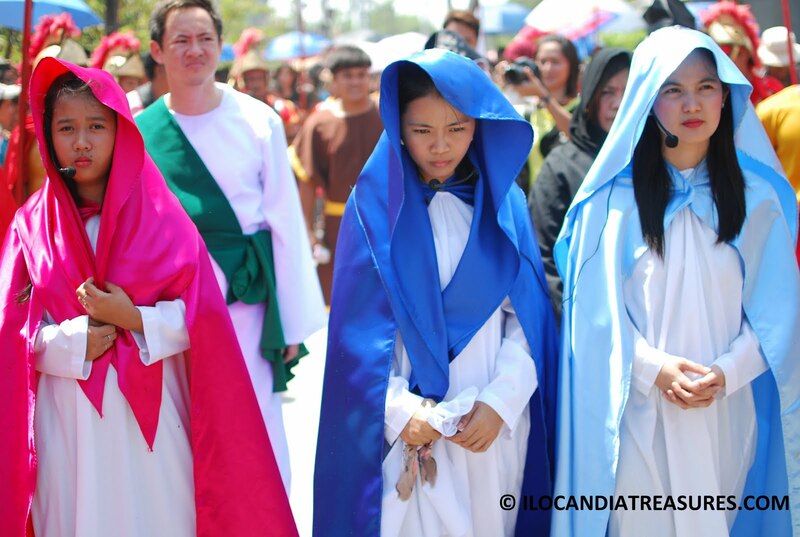 After getting some close up photos of the penitents on the hill, I was so exhausted because of the heat.But I had a meaningful Good Friday. 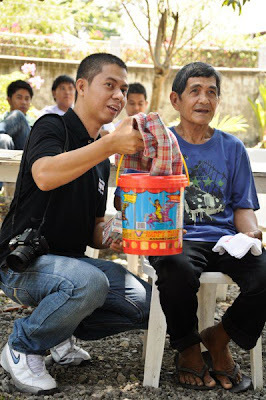 Learning much more of the love of God to all people. One of the popular landmarks of Laoag City is the sinking bell tower. 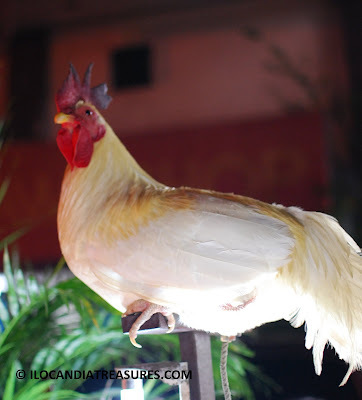 It is one of the top tourist attractions in the province of Ilocos Norte. They say that it is sinking because a person on horseback ride is able to enter doors of the tower in the old days but now a person has to stoop to get through the entrance. The structure is so heavy and it was built on a soft sandy foundations. 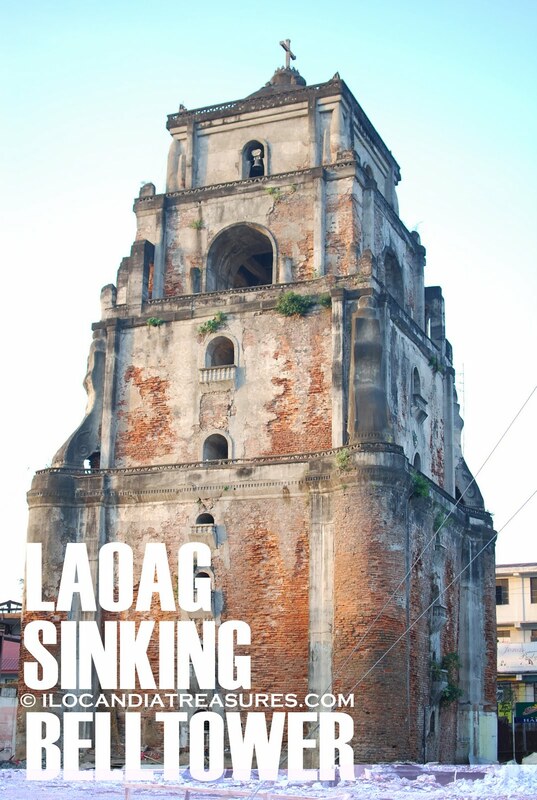 This massive structure of 45-meter high (150 feet) was built in 1612 by the Augustinians. This belfry is far separated from St. William’s Cathedral with a distance of approximately 85 meters. This belfry is still functional. They rang the bells in special occasions. It is lighted at every night. Tourists are allowed to enter it upon request. I have tried once to go inside and get to its top. One can see the picturesque and lovely view of the city especially the bridge and the river. I am worried because demolition of buildings on its periphery was on going. What could be its future in the midst of these demolitions and putting up new business establishments. I hope they would protect and preserve it. I have seen its back view and it’s much more beautiful with its exposed old red bricks sans the cables. It is more exposed now so I hope they could just set up a park around it to give it a breathing space. 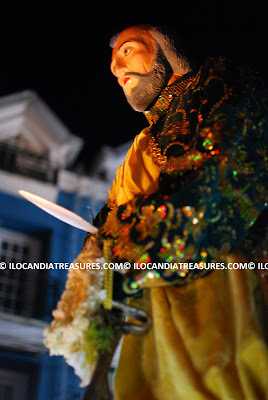 Last Tuesday, I saw people preparing and fixing altars at different points in Laoag City. I asked what was that all about and they said that it is the Estacion General. 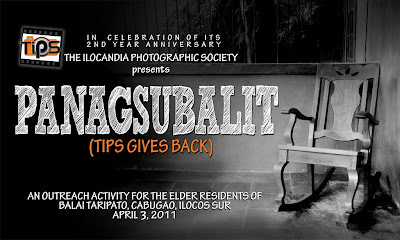 I took my camera and documented this event. 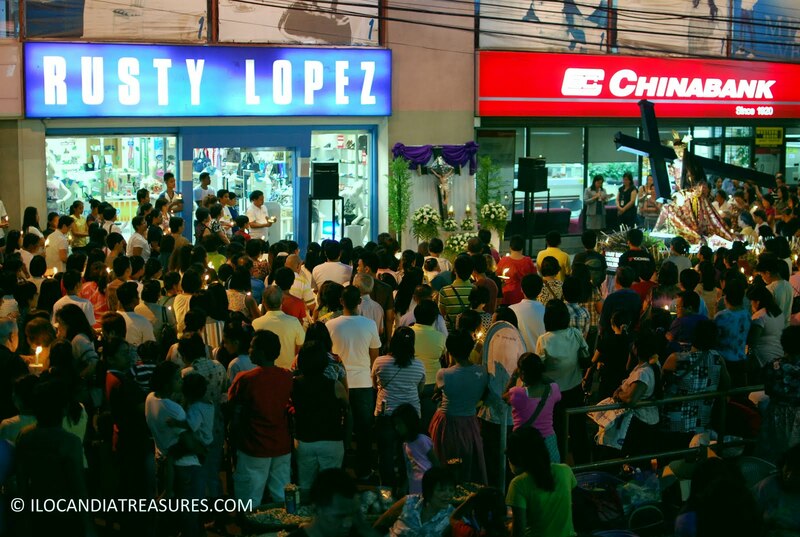 Estation General is usually held during the Holy Tuesday. It is the general station of the cross. It has 14 stations. A mass is celebrated first at the church and the people go on a procession with the different images passing from first station to the last station. They recite a prayer at each station and then move around until they get back to the church. I saw many people who joined this event of the holy week and it was my very first time. 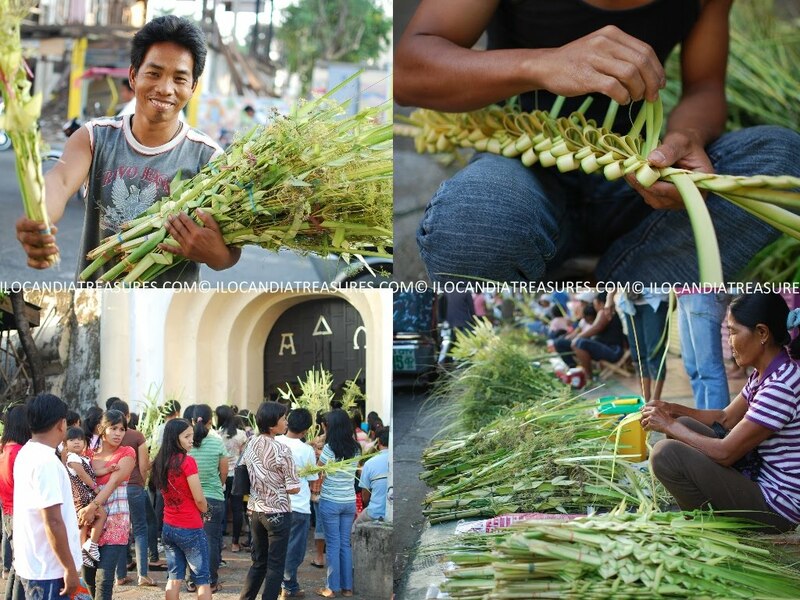 Just got off the bus from Manila this morning when I covered the celebration of Palm Sunday in Laoag City. 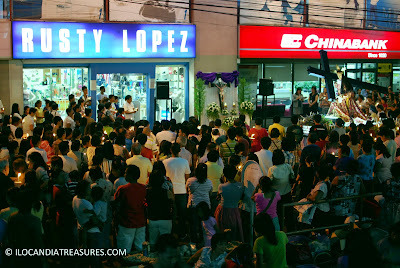 It was the Aglipay Church which I saw first to hold the mass. I saw all the people bearing the palms, olives, and coconut leaves on their hands. When I moved to the cathedral, I saw many vendors who sell these palm leaves. They braided the leaves to turn it into a nice form. 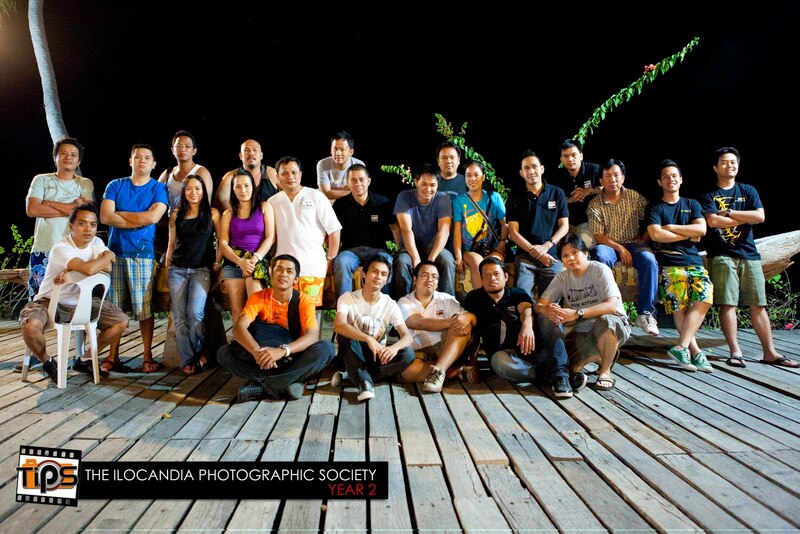 An ordinary one sells 10 pesos while a good one costs 50 pesos. One can also smell the aroma of anis because they incorporate it into the boquet. Palm Sunday is a feast that commemorates the entry of Jesus into Jerusalem. He went in riding a donkey. He was there to bring peace as symbolized by the donkey and not wage a war. This is still re-enacted to some places in the country where the Catholic priest rides a horse surrounded by people holding palms. These palms are blessed after the mass where these are simultaneously swayed upward. 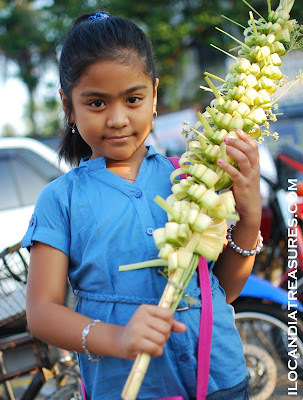 Palm branches are also called palaspas or ramus. These are taken home and hung on doorways and windows or infront of the house. This symbolizes that they welcome Jesus Christ into their homes. They also believe that palm leaves can ward off evil spirits. 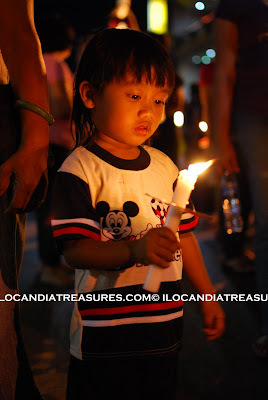 During my visit in Kuala Lumpur on November last year, I was able to implement my Kids’ Project Photography with the help of my very good friend, Ms Noorizan Mohd Noh. She scouted for this orphanage and talked to the administrator if I can possibly do the photo workshop. They warmly welcomed us during the visit. 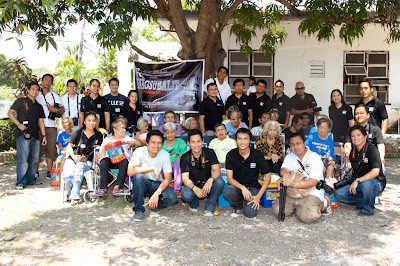 We were assisted by Ms Yati on this project. 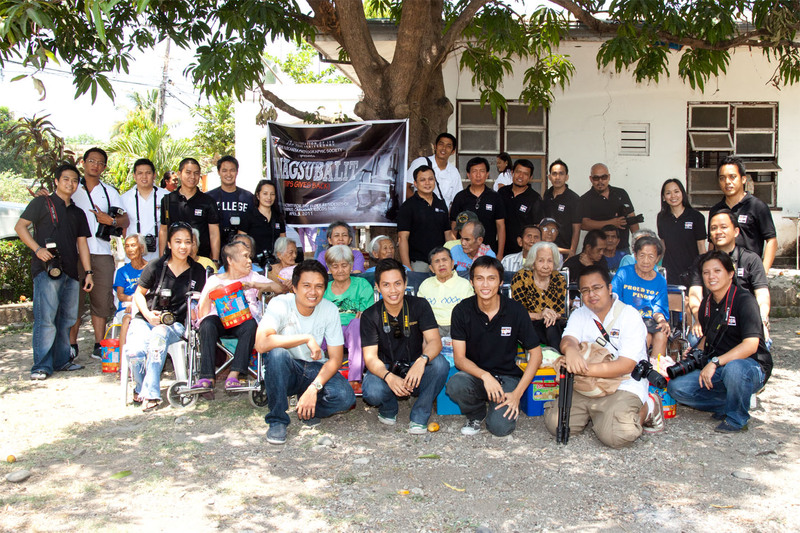 The orphanage is called the Asrama Darul Falah Perkim (ASDAF) located in the city of Kuala Lumpur. 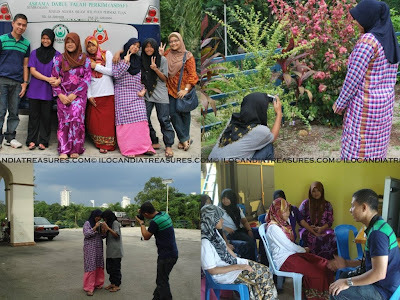 I gave a brief lecture to the six Malaysian children on photography then later conducted a photo shoot session outside the building. Two of the six kids became so interested with photo shoot and they had fun. This is another milestone in my project because it was not only based in the Philippines but reaching out to the children of the world. It was indeed fulfilling.